Our vehicles are roomy, classy, highly spec’d and comfortable! 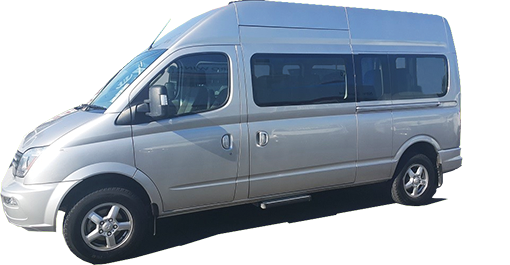 Now available in 8 seater people movers AND 12 seater LDV Coach. Our Standard eight seater people movers are roomy and comfortable. All have dual airbags and ABS braking for that added safety. Standard fitment such as central locking, electric windows and CD stereos. All vans have front and rear air conditioning units. Many fitted with dual sunroofs aswell as privacy glass in the rear. Towbars available by request. From $72*p/day!